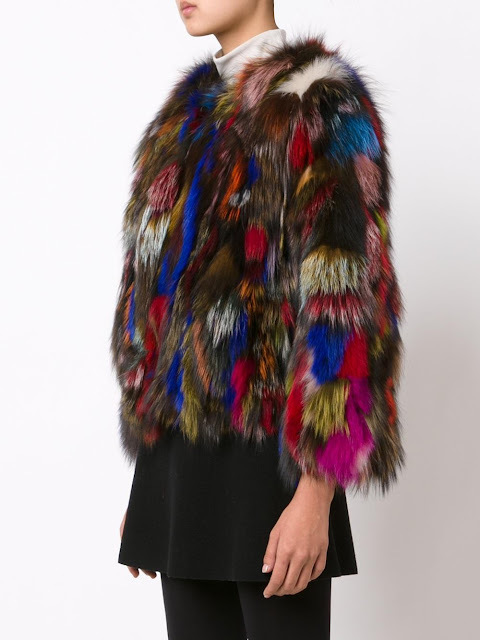 I have been wanting a Faux Fur jacket for about 3 years now and I never seem to find the right color or cut. I am happy to share that this hunt is over! Well, hopefully over...let's hope the jacket fits. A fur jacket will always be timeless. Remember that fur is one of the oldest forms of clothing. Fur has been around for a very, very long time. During my search, I fell in love with this beautiful work of art by Jocelyn Fur. The only problem with this is that it costs $995 at FarFetch!!! So I continued my search and found this one instead, for just $80 here!!! It is a different color and not real fur, but I am ok with that :) It is definitely a fun statement piece!